It’s time to warm up your vocal cords. 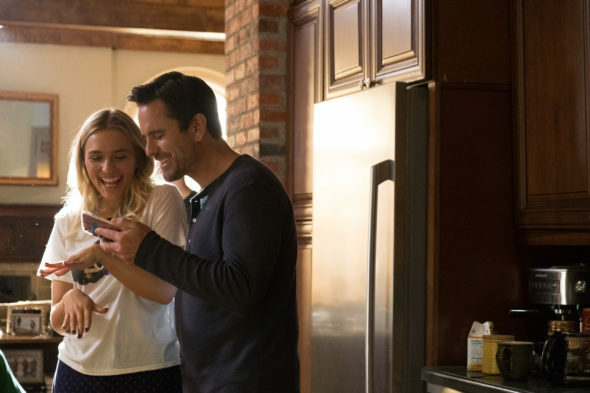 CMT has announced the season six Nashville TV show premiere date. Check out the video featuring stars Hayden Panettiere and Jonathan Jackson, below. Nashville, season six, premieres on CMT on Thursday, January 4th. In addition to Panettiere and Jackson, Nashville stars Clare Bowen, Chris Carmack, Charles Esten, Sam Palladio, Maisy Stella, and Lennon Stella. The country music drama ran for four seasons on ABC, before being cancelled and moving to CMT. Star Connie Britton chose to leave the series during the middle of season five, so her character was written out. What do you think? Are you still watching the Nashville TV series? Do you plan to tune in for season six on CMT? Let us know, below. Due to a move, etc. I missed some of the final season of Nashville on CMT. Will there be re-runs? I will tape and watch as I work evenings. Then will probably cancel cable and watch Blue Bloods on streaming. Last Man Standing and Nashville pretty much wrapped it up for me. ABC really is soon to be “over the cliff” with the 50-70 demographics!!! And yes this group STILL has plenty of money. The next intelligent drama to be cancelled will be The Good Doctor, Blue Bloods, and Madame Secretary. Our world is an increasingly scary place.